Scientists have discovered a new chemical that could reverse cataracts, one of the leading causes of blindness. This new substance could be used in eye drops, greatly simplifying the treatment and making it accessible to the general population at a low price and without intrusive procedures. A cataract is a clouding of the lens in the eye leading to a decrease in vision. It can affect one or both eyes, generally evolves slowly, and causes about 50% of all the blindness cases in the world. 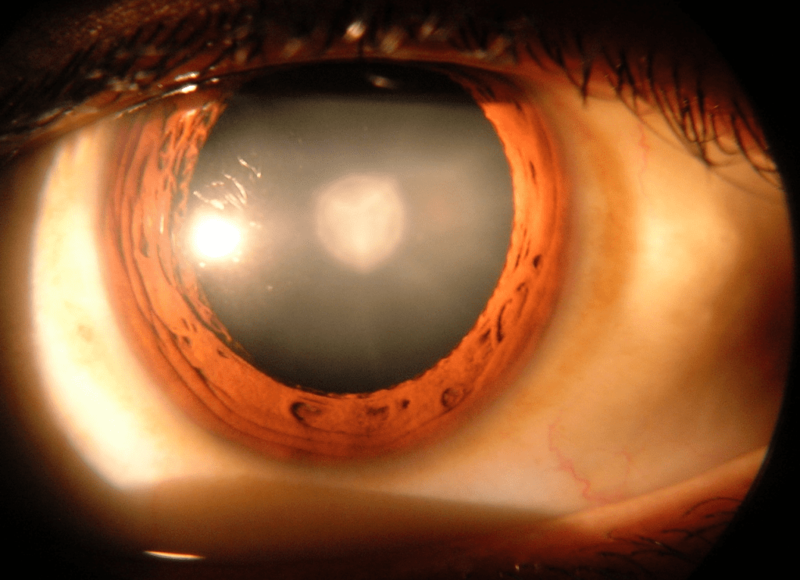 Cataract removal can be performed at any stage and no longer requires ripening of the lens – however, it is still a surgical process and can be quite expensive, and of course, people are always reluctant to have eye surgery. This is where this new treatment enters the stage. Reported November 5, 2015 in Science, the newly identified compound is not the first one that can treat cataract, but it is the first one soluble enough that it can be incorporated in eye drops. The group started with over 2000 chemicals that showed some potential, ultimately focusing on 12 that are members of a chemical class known as sterols. Sterols, also known as steroid alcohols, are a subgroup of the steroids and an important class of organic molecules. They occur naturally in plants and animals, with the most known sterol being, of course, cholesterol. Out of this dozen, they ultimately zoomed in on lanosterol. Lanosterol was previously shown to clear out cataracts, but it had to be injected into the eye, so they assembled and tested 32 additional sterols, and eventually settled on one, which they call “compound 29.” Compound 29 can be used in drops, and can help not only in human cataracts, but also in that of dogs or other pets. But there’s a chance that this study could have even more implications, as Gestwicki explains.